ENVRI cluster is a well-recognized player in the European and international Research Infrastructure landscape as it represents a vast number of Environmental Research Infrastructures. 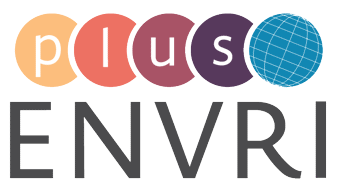 The activities of ENVRI cluster are currently supported by the EC funded project for cluster cooperation – ENVRIplus. the BEERi (Board of European Environmental Research Infrastructures) membership, allowing the Research Infrastructure in question to nominate two representatives for the BEERi, participating in the strategic discussion concerning the ENVRI community. ENVRIplus encourages research institutions that have a clear and established relationship with the Environmental and Earth system Research Infrastructures to become Associated Partner in the project. This relationship is usually demonstrated by a significant contribution to the RI development (e.g. coordination or participation in ESFRI RI or IA project). Note: Associated partnership to ENVRIplus does not guarantee a membership in BEERi (Board of European Environmental Research Infrastructures). The application for BEERi membership needs to be approved separately by the Board itself. Associated Partners are not charged for participating in the project, and they are expected to cover possible costs related to their activities within ENVRIplus. Some limited travel costs may be covered by the project on request, decided on a case-by-case basis, and in agreement with the ENVRIplus grant agreement and consortium agreement contracts. Associated Partners are asked to sign a non-disclosure agreement to protect any confidential, proprietary information available under the project. BEERi encourages all the research communities that have already demonstrated readiness to plan, construct, implement and/or run pan-European RI operations for serving user communities in the field of environmental research or in Earth system science, to apply for the membership to BEERi. Another type of network applications can be discussed case by case in the BEERi meeting. A new BEERi member needs to sign the non-disclosure agreement.